It’s hard to believe that we have already been back in Canada for nine weeks. As the saying goes, ‘time flies when you’re having fun’, and that’s certainly what our home assignment has been so far! We have been enjoying so much, including: wide open roads, ample parking spaces, food and restaurants, quite shopping malls, warm summer days (not HOT), fresh cool breezes, just to mention a few things. And of course, more than anything, we have been enjoying time with our family and friends, and visiting with church partners and individual supporters. Everywhere we have traveled, to share stories of the past two-years of life and ministry in the Philippines, we have felt encouraged and supported, which is really important for us as a family as we begin to prepare for our return to the Philippines in just five weeks. We are overwhelmed with the support and encouragement being extended to us from our Canadian Baptist churches as we have visited churches in Ontario, New Brunswick, Nova Scotia, and Prince Edward Island. We have been given the opportunity to share our life and ministry with people in 19 churches since arriving back to Canada in late May, and we still have another 11 churches to visit before the end of August. Everyone of these church visits has been an encouragement and blessing, especially as we prepare to return to the Philippines on September 1st. It is such a blessing to know that so many churches and individuals are praying for us and supporting us in our ministry. Having said that, our travels throughout Atlantic Canada have been tiring and we’d ask for prayers for safety on the roads, and for rest and refreshment in the remaining weeks of our home assignment. Melanie sharing with members of Bedford Baptist Church in Nova Scotia. They treated us to homemade Strawberry Shortcake. Yummy! Forest Hills Baptist Church in Saint John, New Brunswick invited us to take part in their Vacation Bible School. We were so thankful for the opportunity to share with all the children and volunteers. And, we are so thankful for the financial support that these children raised for us throughout the week as their VBS mission project. One of the joys that we’ve had during our home assignment is the opportunity to meet with a couple of church SENT teams who are preparing to participate in Canadian Baptist Ministries work in the Philippines with our partner Kabuganaan Philippine Ministries (KPM). It’s rare for CBM field staff to have an opportunity to meet teams in-person prior to their arrival in the host country. So, we were really glad to have these unique opportunities. Mississauga City Baptist Church is sending a SENT team to Roxas City, Capiz, Philippines in September. This team will arrive just one week after we arrive back. They will be serving and learning alongside KPM’s ministry with children and youth in several poor communities. Grace Memorial Baptist Church in Fredericton, New Brunswick is sending a SENT team to Roxas City, Capiz, Philippines in April 2019. They will also be serving and learning alongside KPM’s ministries with children and youth, as well as participating in the local Baptist associations annual gathering of churches. In just a few weeks we will also be meeting with a team of people from First Baptist Church in Moncton, New Brunswick who is preparing to send a SENT team in August 2019. We are looking forward to the opportunity to get to know this team as well. Possibly the hardest thing about being in the field is being away from our extended family, especially during special occasions (birthdays, anniversaries, etc.) and holidays (Christmas, Easter, Thanksgiving, etc). So, naturally one of the things that we were looking forward to the most was having opportunities to be together with our family. We are so thankful that we have had the opportunity to spend lots of quality time with our family including two weekends away (one with Melanie’s family and one with Michael’s family). These two weekends will be the most memorable weekends of our home assignment as we’ll cherish the memories until we can do it again in two years (although, hopefully we’ll get to welcome some of our family to the Philippines over the next couple years). We spent a weekend in PEI with Melanie’s family and enjoyed lots of laughter, to much food, hunting for sea glass on the beach, deep sea fishing (boys) and Anne of Green Gables (girls), Sand Spit Amusement Park, and much more. We spent a weekend in the Upper Saint John River area of New Brunswick with Michael’s family. In this beautiful part of NB we were thrilled to spend time together on the beach at Mactaquac Provincial Park, and at the historical settlement of Kings Landing. Kyla and Allie had a lot of fun trying on the costumes at Kings Landing. Don’t they look cute? Being away for the past two years has certainly increased our appreciation for friendship. Friends definitely make life better and more enjoyable! One of the highlights of our home assignment has been the many opportunities we’ve had to re-connect with old friends, and make some new ones. We recently shared a great evening over pulled pork sandwiches (and many other delicious food items) prepared in the smoker by Mike Palmer (Pastor of True North Baptist Church). It was so great to spend time with Mike & Sheila Palmer and Jon & Alicia MacDonald (Director’s at Shiktehawk Bible Camp). Upon our return to the Philippines our family will begin a new chapter in the education of our children. For the past two years they have attended Faith Academy in Manila. However, as we have mentioned before, as a family we are relocating to Roxas City, Capiz Province upon our return to the Philippines and as such have decided that we will begin homeschooling our children. This was not an easy decision but we feel very much at peace with it. This is in large part because of the partnership we have with Tree of Life Homeschool here in New Brunswick. 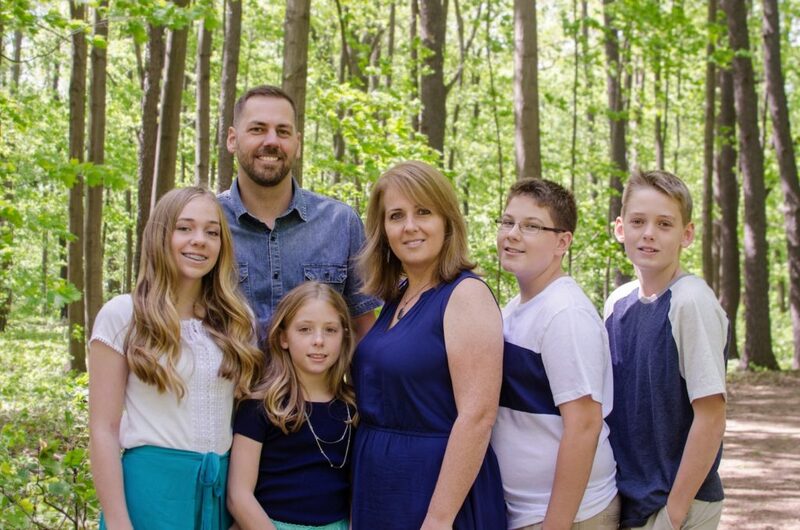 Mike and Deb Flewelling have been life-long educators and are committed to encouraging and assisting homeschooling parents and students. We are so thankful that God led us to this amazing couple and are excited to be working with them in the education of our kids. This will be a major change and adjustment for our entire family. We ask for your prayers as we are in the process of preparing curriculums, resources and course plans for each of our children. We will also need your prayers when we return to the Philippines and begin this new educational journey with our kids. Thank-you for your continued support and interest in our ministry. We have been humbled by the support and encouragement we have received and are so thankful for generous and faithful people like YOU who make it possible for our family to do what God has asked us to do!